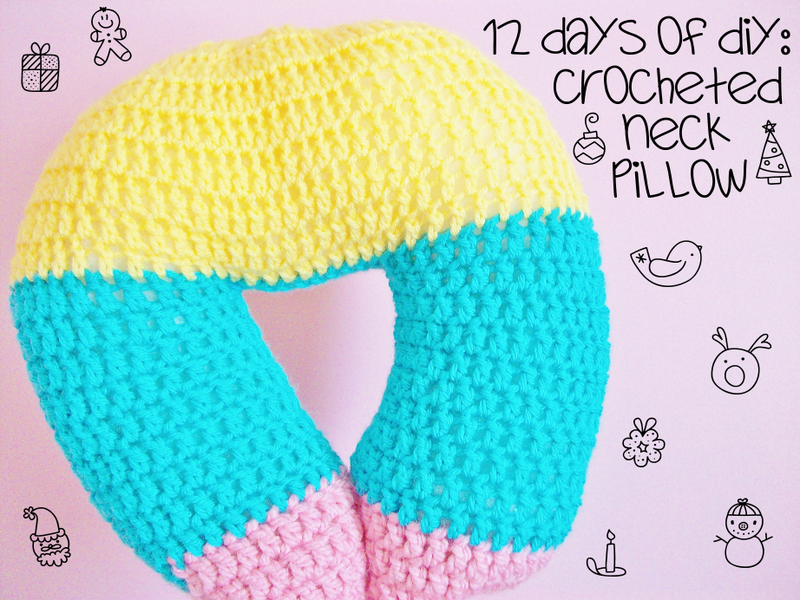 On the tenth day of Christmas I made crocheted this for you, a neck pillow! It's the traveling season! Which means you are traveling, which means waiting and lots of sitting! Whether it's on a car, airplane, train, etc. 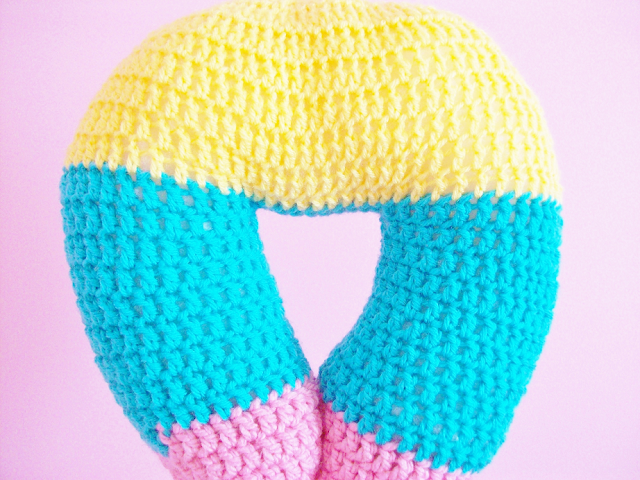 So I crocheted this neck pillow for the travelers so that they have a comfy pillow to sleep and relax on. If you are not traveling then you can make this for someone that you know that travels often. Connect the two legs together by creating a 10 st ch. slst to the last st from the first leg you made (the one that you cut off). Dc around the first leg and once you reach the 10 st ch, dc 10 sts. You are going to be dc on the bottom loop of the sts. Repeat by dc around the 2nd leg. When you reach the 10 ch again you are also going to repeat what you did the first time. Dc on the loop that we left behind the first time. Once you are finished with this you should have 80 sts total. 30 sts from both legs and 10 sts from the 10 row ch (30 +30+10+10 = 80 sts total). Stuff until you reach to the top where you stop crocheting. 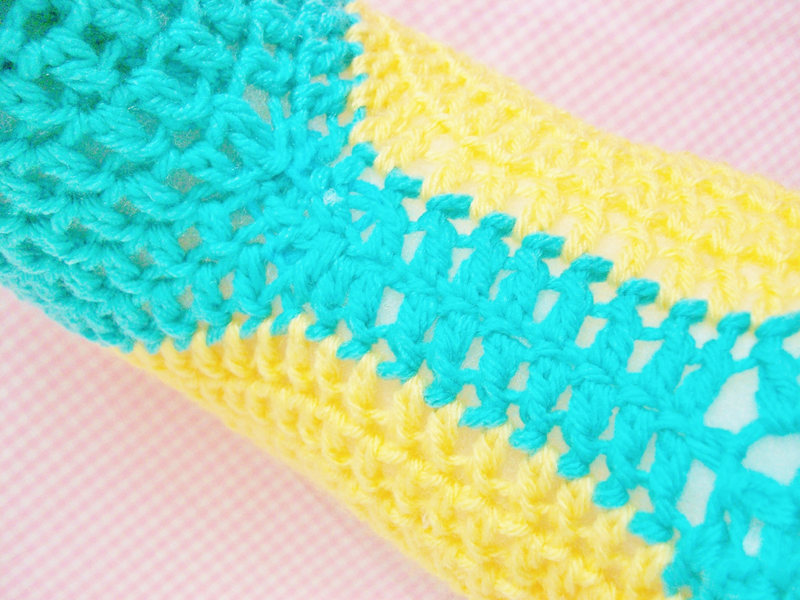 Weave the yarn through a yarn needle. Weave the needle in and out every st until you reach where you began. Pull, Stuff some more (you are going to want to make sure your pillow is stuffed properly. 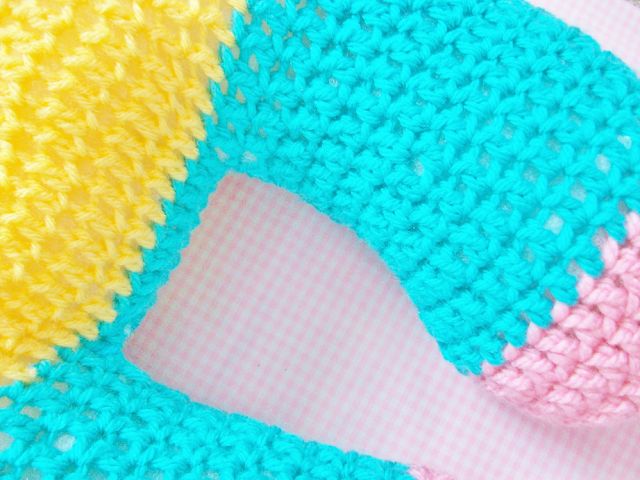 Finally, sew the rest of the pillow shut with your needle. You are complete! When you are stuffing the legs gently roll on them to make sure that you get every nook and cranny. You are also forming the shape of the leg by making them appear more rounded. Are you traveling this season? The pattern doesn't seem to state how many rows on the legs. By the picture it looks like 13, is this correct? 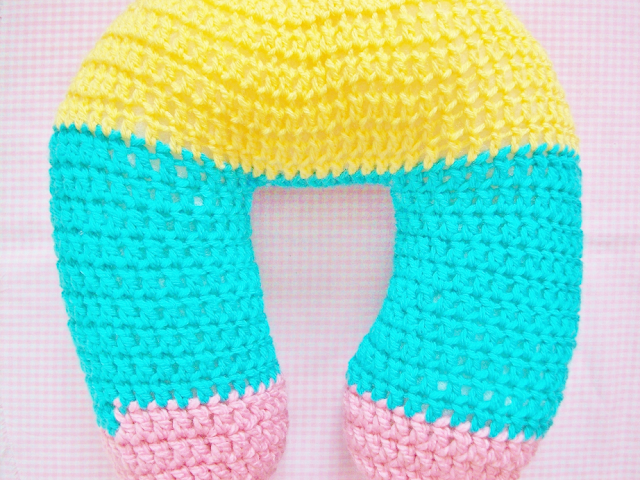 thank you for the pattern, it will be usfull for my futur grand dauther. I don't understand where I'm decreasing, at the beginning of the leg and then end with 3 decrease at the same spot? Or on either side of the 10 ch that joins them? It doesn't specify and I can't tell by the picture.